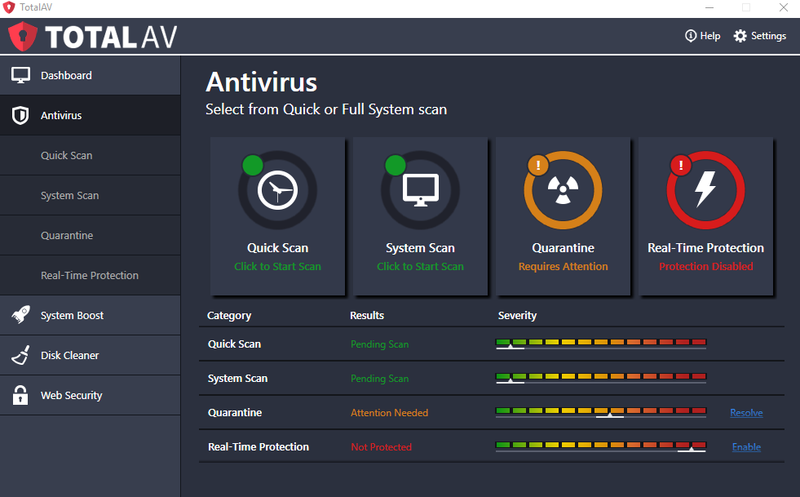 Download Best Free Antivirus for Windows PC 2019 | 100% Working. Download Best Free Antivirus – Antivirus plays a major role in cyber security, spyware, malware and unwanted junk, especially on Windows operating system. Windows PC users need a strong antivirus program to ward off malware attacks, to keep their computers running efficiently and to safeguard their online identities and personal information. This article written solely with the aim of solving the Cyber space security challenge. Below is the comprehensive list of the top recommended best free working anti-virus for your personal windows operating system computer that have been tried, tested and verified as 100% legitimate. Trust us… It’s our aim to solve your problem. Total AV Antivirus (see user reviews) is a free antivirus that does its job at the basic level – getting rid of malware and improving the performance of your computer. While the free version may be limited, scans are fast and reliable and there are several handy tools designed to declutter your computer so that it runs better. Total AV Antivirus is a decent antivirus if you’re just looking for quick protection, but if you’re looking for more advanced features such as a remote firewall or password vault, you’re probably better off upgrading to one of the premium versions – the 30-day money back guarantee means you can try before you buy. Avira (see user reviews) was greatly improved after its 2018 redesign. It now offers much less impact on system performance while running, and it comes with a cleaner, more user-friendly interface. What sets it apart is its comprehensive range of protection against anything from malicious viruses to the most dangerous Trojans. Plus, its heuristic engine allows it to detect zero-day viruses (unknown threats) really well – a feature not commonly found with free antivirus software. This well-rounded and versatile antivirus also comes packed with many extra features to sweeten the deal. The new and improved Avira free antivirus is a fantastic all-in-one solution due to its long list of advanced features you usually don’t get with free software. However, it does come with ads and pop-ups so for a long term solution, you may find the paid version less intrusive. Avast (see user reviews) is one of the easiest antivirus softwares to use, and one of the few programs to offer solid protection against zero-day attacks – new unknown threats that antivirus programs haven’t been programmed to catch yet. Impressively, Avast managed to protect against 100% of all zero-day attacks in a recent test. Ever since Avast merged with AVG Antivirus to provide a more robust solution, they have been offering exceptionally comprehensive anti-malware and virus protection with a host of useful features that are usually only available through paid services. Avast is the best choice for gamers in particular because it not only offers a dedicated gaming mode but also provides a free Trojan remover tool that’s great if you’re constantly downloading files and games. Still, even non-gamers will appreciate the top-of-the-line zero-day attack protection and extra features over and above what’s offered with other free antivirus programs. For those who want to avoid annoying pop-ups and ads, we’d suggest going for the premier version as a more suitable long term solution. One of the most highly recommended free antivirus softwares is Bitdefender (see user reviews), and it’s also one of the fastest free scanning antivirus programs available, with minimal impact on your computer’s performance. It consistently ranks at the top of various antivirus tests. While the free version doesn’t offer all the bells and whistles that paid versions do, Bitdefender Free covers the basics exceptionally well. Bitdefender is a strong contender for users who just want an install-and-go antivirus. Its a powerful antivirus that runs on autopilot for the most part requiring little user intervention and adding very little extra “bloatware”. AVG Technologies (see user reviews) is one of the biggest names in the antivirus industry and we love it because it runs constantly in the background without you having to do anything. As we mentioned above, AVG’s company recently merged with the developers of Avast. However, while both programs benefited from the collaboration, it seems AVG has gotten the shorter end of the stick. While it’s still a solid antivirus, AVG is much more like a “little brother” when compared to Avast. However, it’s possible the company may consider combining AVG and Avast in a package deal at some point, which will offer the very best of both. AVG is best suited to users who want a silent and subtle antivirus without many frills. The program runs transparently in the background with little effect on system performance. If your job requires that you open various email attachments, the email attachment scanner will help immensely. Overall, AVG is a good solution for those just looking for basic malware protection without the need for advanced features, or anyone wishing to use it as a second layer of defense on top of an existing antivirus (AVG’s passive mode allows it to run in the background in tandem with other antivirus programs). ZoneAlarm (see user reviews) is considered the best free antivirus for web surfers, as many of its features are geared towards online protection. While it doesn’t come with its own antivirus (it uses the standard Kaspersky engine), it comes with a solid built-in firewall that’s easy to install and configure. ZoneAlarm works well overall, but comes with a lot of extra features we felt were unnecessary. We would have rated it a rather unexceptional antivirus, had it not been for its truly elegant firewall protection. If you browse the web a lot and worry about your safety, ZoneAlarm is your answer, but if not, its probably best just going with Kaspersky or another free antivirus to begin with. Despite Kaspersky (see user reviews) being one of the most well-recognized AV brands on the market, we can no longer recommend their products in good conscience due to speculation that their developers having been aiding state-sponsored hackers in Russian. Kaspersky has already been banned by the US government, and there is mounting evidence that they have been data mining consumer information and sending it to The Kremlin, thereby making it spyware. Sophos (see user reviews) is unique since it’s optimized for multiple machines and runs using cloud-based protection, keeping system slowdown to a minimum. As a result, it works well for families who need protection across several computers. Sophos is a great family antivirus as it protects up to three devices. Homes with several computers and children will benefit from Sophos’s parental controls and multi-PC protection. Adaware (see user reviews)is actually rebranded from a previous version. However, certain features were cut out from the change, such as URL and email protection. Despite these shortcomings, this ‘new and improved’ antivirus is still a viable option for certain niche users like gamers. 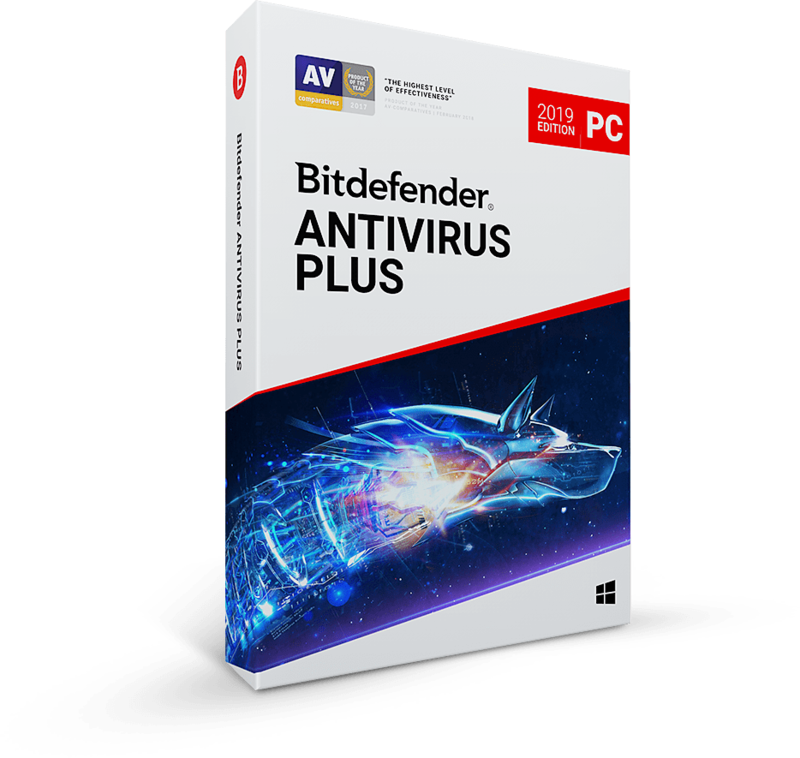 It uses Bitdefender’s excellent anti-malware engine as well as its own pretty good anti-spyware for well-rounded protection. Adaware works well for gamers who want an extra set of antivirus tools to combine with an existing antivirus. Users outside of this niche are advised to choose other, better options like Avast or AVG. Microsoft’s premier pre-installed Windows Defender (see user reviews) started off as a sub-par but free solution in the early years. However, recent versions for Windows 8.1 and 10 have improved greatly to the point where Defender can stand on its own as a decent antivirus. It’s also completely free, with no paid version on the market. 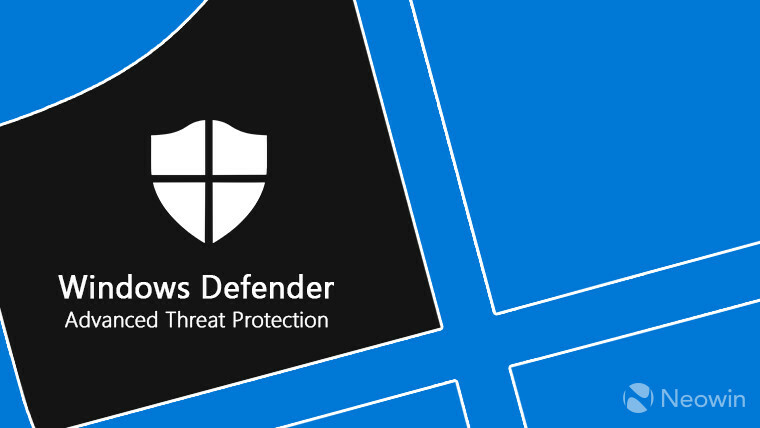 Defender is actually a solid basic option for Windows, especially if you combine it with another antivirus like Malwarebytes. However, if your computer is running Windows 7, Vista, or XP, Windows Defender will only remove spyware. To get rid of viruses and other malware, including spyware, on older versions like Windows 7, Windows Vista, and Windows XP, you can download Microsoft Security Essentials for free.